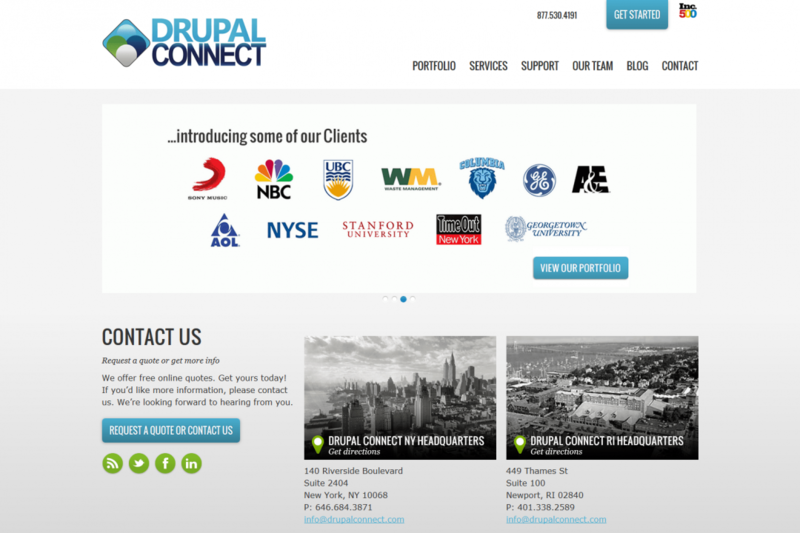 Drupal Connect has a team of expert Drupal developers in North America, The UK, France, Australia and Germany. The have over 300 clients including GE, AOL, NBC, Sony Music, The NYSE, Waste Management, The Carter Foundation, Yale, Stanford, Harvard, and Georgetown University. They have extensive experience working remotely in all aspects of Drupal development and are very successful at it.